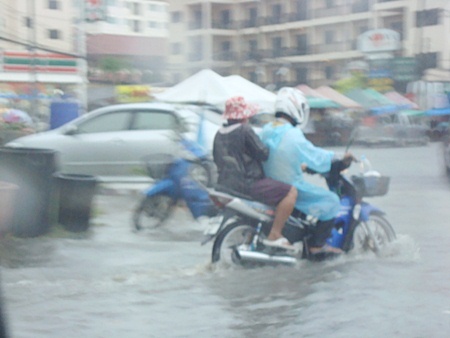 With Songkran done and rainy season about to start, floods that hit Pattaya April 23 can be considered an unfortunate sign of things to come … again. 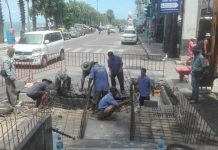 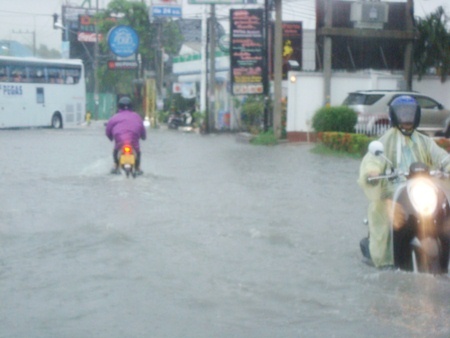 In case anyone forgot, Pattaya’s officials still have not solved the flooding problem that hits every time a major downpour hits. 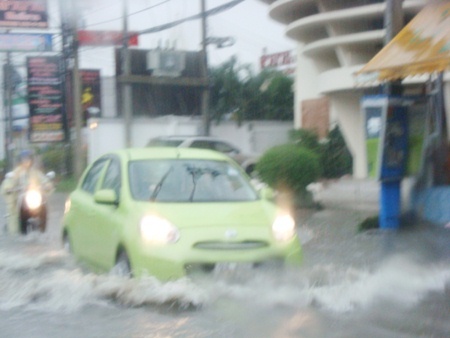 This week’s storm brought 50 cm. 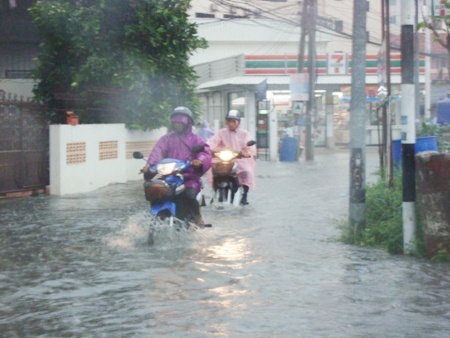 of water to Pettrakul Road near Big C in North Pattaya after just an hour of rain. 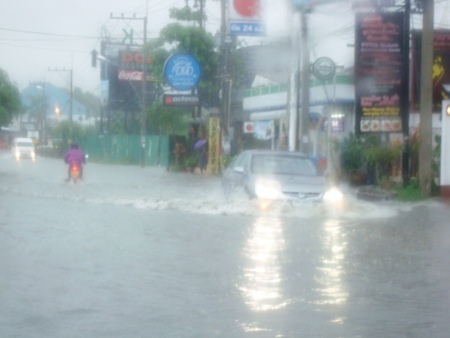 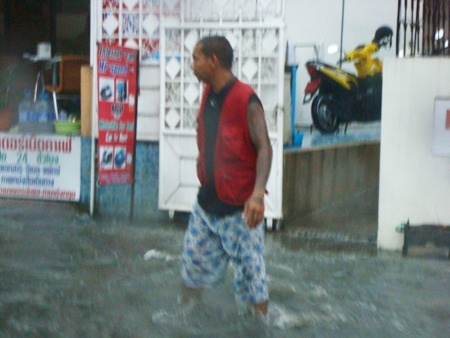 With flooding like this (or worse) striking many parts of the area year after year, one wonders how long it will take before Pattaya’s leaders get serious about solving one of its most damaging problems.